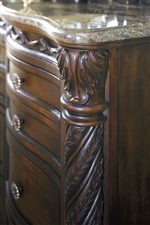 This fantastic chest of drawers features elegant half turned posts, round bun feet, and an intricately carved apron. 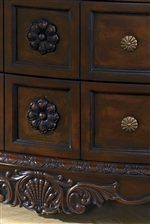 This breathtaking chest has five functional drawers for easy use, and the craftmanship put into the smallest details of this chest is profoundly visible. 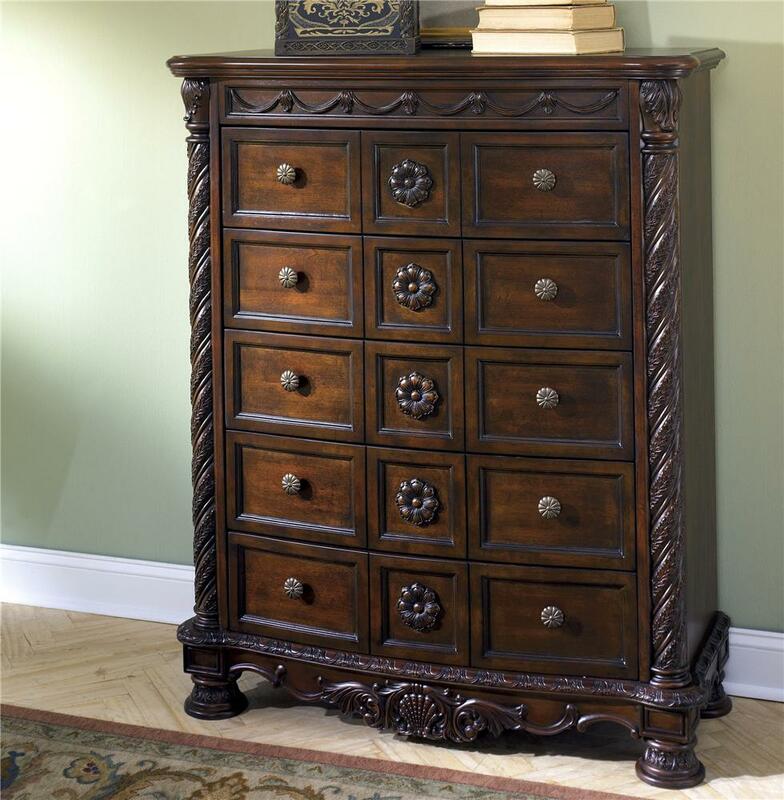 Bring this fantastic chest into your bedroom, and add sophistication and functionality with it. The North Shore Chest of Drawers with Half Turned Posts by Millennium at Miskelly Furniture in the Jackson, Pearl, Madison, Ridgeland, Flowood Mississippi area. Product availability may vary. Contact us for the most current availability on this product. 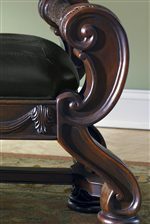 The North Shore collection is a great option if you are looking for Traditional furniture in the Jackson, Pearl, Madison, Ridgeland, Flowood Mississippi area. 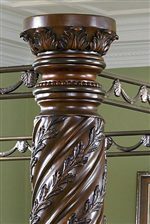 Browse other items in the North Shore collection from Miskelly Furniture in the Jackson, Pearl, Madison, Ridgeland, Flowood Mississippi area.